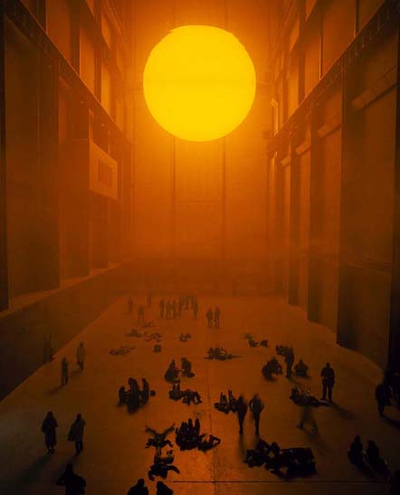 In Turbine Hall of London’s Tate Modern. 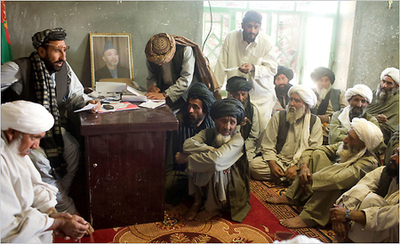 Hajji Abdul Zahir, far left, the district governor of Marja, oversees payments by the Marines to Afghans in the region. 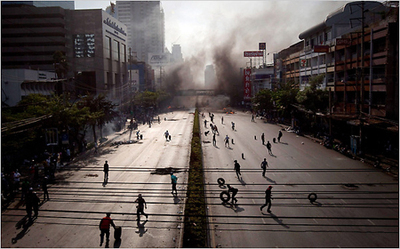 Photo by Moises Saman for the New York Times. 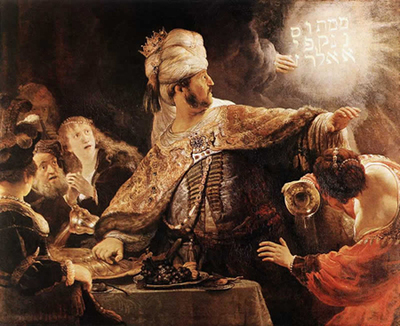 Rembrandt’s Feast of Belshazzar (c. 1635). 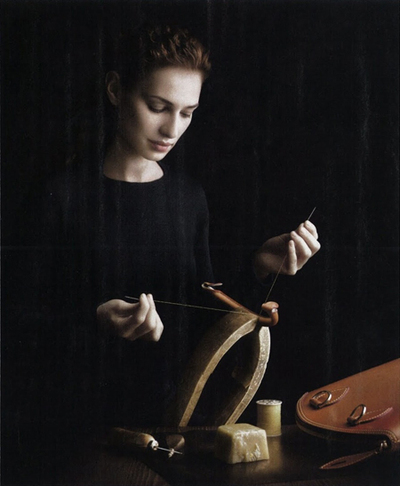 Louis Vuitton ad in the November 30, 2009 issue of the New Yorker. 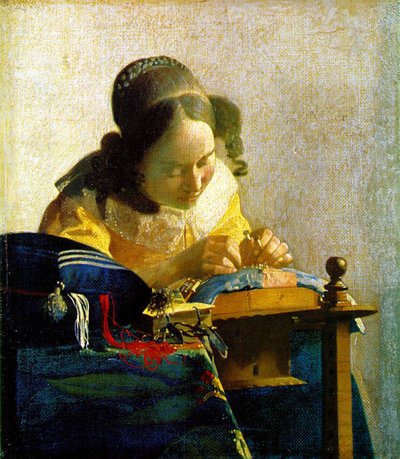 Mr. Lidjl notes that, just as in Vermeer painting where (as Weschler pointed out in Everything That Rises), the lacemaker is gazing down on the tight crisp V of thread couched in her M-like hands, hence spelling out the author of her own existence, VM—so in this ad, the bagmaker is gazing down on an L of thread spread atop that inverted V-clamp, hence LV, the very sponsor of the ad in question. 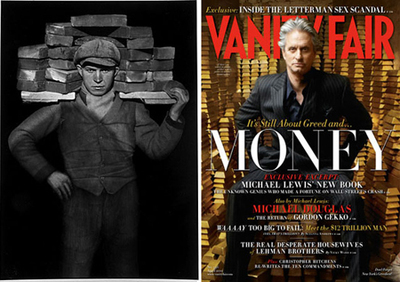 Left: August Sanders’ Bricklayer (1928). Right: April 2010 Vanity Fair cover, photographed by Annie Leibowitz. Mr Haber’s second winning entry in the current carnival. Demi Moore on the cover of the March 2007 issue of Architectural Digest. Botticelli’s Birth of Venus (1486). When Mr Haber submitted this catch off the January 29, 2010 New York Times website, his third winning entry in the current carnival(! ), he was presumably calling attention to the droll way Passion of the Christ’s Mel Gibson peers from behind the cross-like doorframe as played off the image below that, and how that image in turn played off the crucified-like stance of the guy in the one below that. But today the fourth image in the series, or rather the title of the review it illustrates, plays all the more uncannily off Mr. Gibson’s recent travails—or should we say, Passion?